So, you’re thinking of selling your commercial property to a lucky buyer. Like any property owner, you are wary of starting the process with the fear in your mind that your property may not sell. If you are like any other commercial property owner, you aren’t sure when you should create and show your listing. But no worries we are here to help you by providing you with a few tips for deciding when the best time to sell your commercial property is. When preparing to sell your commercial property, there are four key components you will want to consider: Depreciation, Leverage/ROI, Changing Investment Goals and Earning Potential. To start things off, we will touch on the depreciation factor involved with selling your commercial property. If cashing in the tax advantage of depreciation is what is keeping you from selling your commercial property, it may be time to change this thought. In fact, when analyzing the tax advantage itself, it has been known to be very minimal in contrast to the financial benefit of selling your property. If you are leveraging your property, there is a chance that you have underleveraged it to avoid losing money from overleveraging. By doing so though, you are lowering your return on investment. If you were to sell the underleveraged property, you could then channel the funds you were using to leverage into another property that performs better, thus increasing your ROI. As we all know, things change. 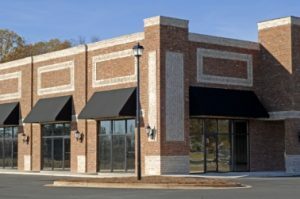 When you began investing in a commercial property, you more than likely had a clear goal in mind. You also had a plan that correlated with the goal allowing you to reach this goal sooner, rather than later. Well as things change, your investment may no longer relate to your original goals, and when this happens, it is time to let go of your property. Earning potential is a pretty obvious factor when it comes to deciding whether to sell your commercial property. If you are losing copious amounts of money each month, then it is time to sell. At this point, your property has lost its potential, and someone else may be able to tap into what is left of this potential and create magic! While these four factors are potentially the most important when it comes to selling your property, there are some things to keep in mind. Don’t forget when thinking of selling your property that you should also take the competition, current market value, the possible future value and personal factors into consideration before selling your property. Once you’ve made the decision to sell your commercial property, let us here at Eastern Trust Realty help you out with your listing. We are your one-stop shop for all your commercial real estate needs. Contact us today!